Born and raised in Leominster, Massachusetts, Matt is a New England native who holds a strong passion for the city of Boston, its surrounding neighborhoods, and the local culture. 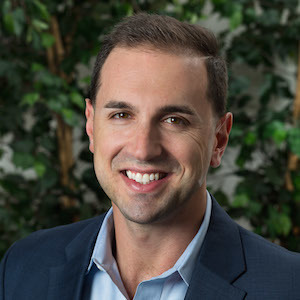 Matt has personally sold over $150M of Real Estate in the Greater Boston Area and has built a strong network of brokers, clients, and vendors over his 5 year career. His knowledge of the field coupled with his meticulous, personable, and trustworthy manner allowed him to expand his business into property management and operations of buildings and developments. His vast experiences in sales and property management have allowed him to become the best at what he does. There truly is no transaction or task that Matt is unfamiliar with or unwilling to take on; he always welcomes a challenge. Prior to Real Estate, Matt began his career owning and managing a wholesale food distribution company in the Greater Boston Area. As a proud former resident of South Boston, he still remains very active in his beloved community and remains the longest standing member of Broadway BNI, the local South Boston Networking Group. Matt and his wife, Robin, currently reside in Swampscott with their two children Zachary and Caleb.